We are a premier American visa company based in Chicago, Illinois, USA. We have helped thousands of people around the world obtain an American visa or citizenship easily and fast. Our dedicated American law students help navigate complex American Immigration Laws to boost the chances of your visa application approval. 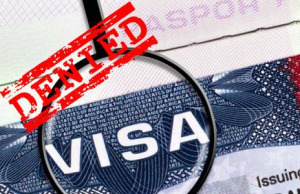 Many visa applications suffer repeated rejection due to a failure of the applicants to comply with American immigration laws adequately. However, our team of American law students is here to see you successfully through the process. Engage in our exceptional visa service with confidence and obtain your goals. We treat every client as an individual, with integrity, quickly rendering our opinion and suggested track for approval. We pride our service in our fast, honest and straight to the point with our advice to clients. Thank You for your valuable time in considering American Visa Info!